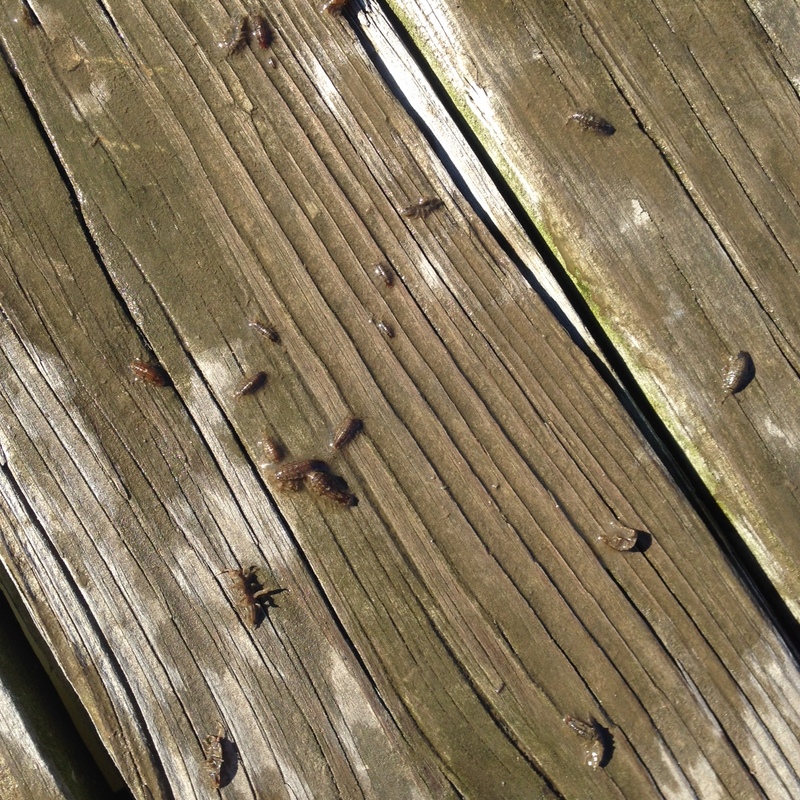 Pulling a boat line out of the 79th Street Boat basin on the Hudson River recently resulted in a pier squiggling with isopods. They had clearly found the rope, submerged since the spring, to their liking. 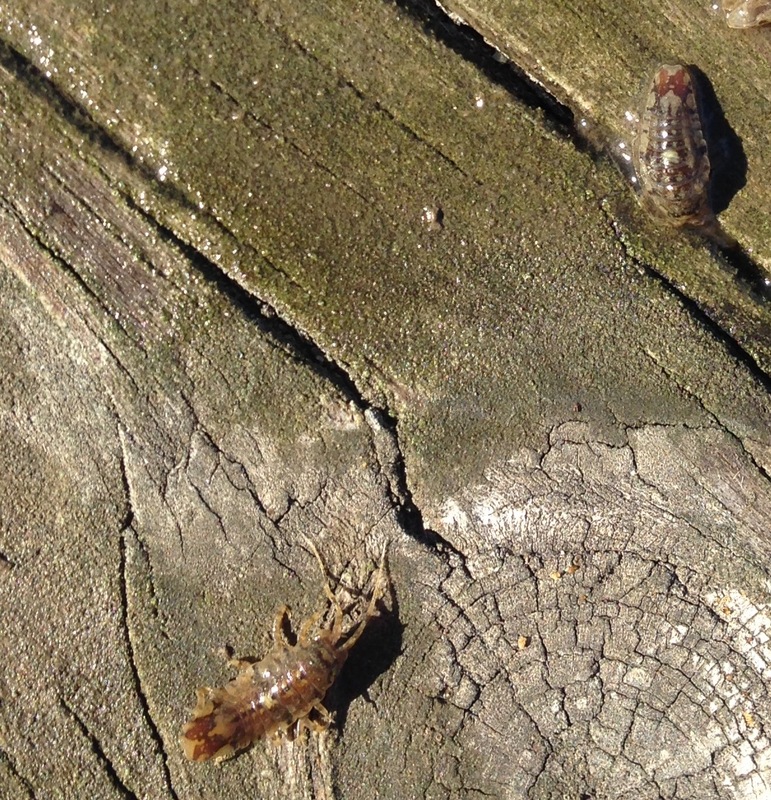 Isopoda are an order of crustaceans. 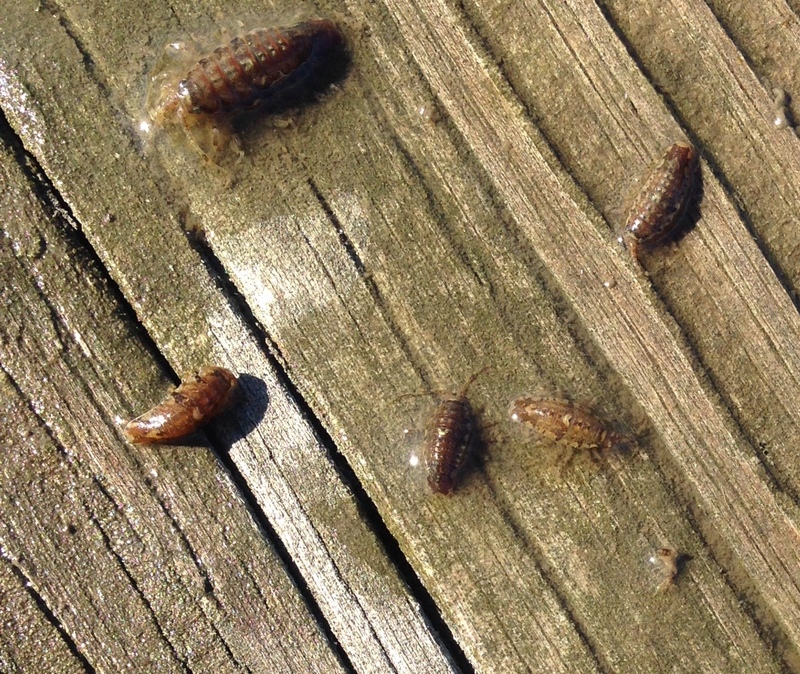 Most are aquatic, but you may be more familiar with the terrestrial type, the woodlice (pillbug and roly-polies). People sell isopods in all sorts of varieties on those hermit crab pet forums.